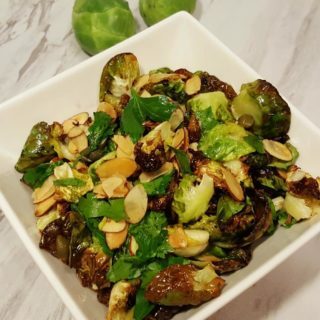 Air Fryer Cleo Hollywood Brussels Sprouts are a delicious and healthy appetizer. The crispy leaves, almonds and capers give the salad a nice crunch. Raise your hand if you don’t like Brussels Sprouts. That would be me too….except on two occasions. The first time I actually loved Brussels Sprouts, was when I pan fried them in some lemon and butter and other seasonings. 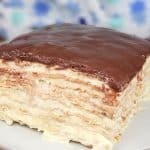 I was hosting a dinner party and wanted to try out new recipes. My guests loved the Brussels Sprouts. Oh my goodness, they were delicious cold the next day on my salad. 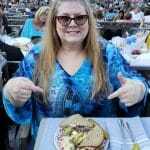 My good friend Ilene Argento, suggested we eat at Cleo and try the Brussels Sprouts. Ilene is someone who knows good food, so as always, I trusted her opinion and made a reservation at Cleo. As I’m not fond of deep frying, I used my air fryer and the results were tremendous. Cleo is a Middle Eastern restaurant that specializes in “small plates.” Translated, that means small amounts of food at high prices. Besides the Brussels Sprouts, we ordered Baba Ghanoush, which was the best I ever had. That visit inspired me to do a Pressure Cooker Baba Ghanoush recipe, which you can read about. So, Ilene was right; like I had any doubt, right? The Brussels Sprouts were totally delicious. The Brussels Sprout Leaves are removed and are flash fried. Then Capers, Toasted Sliced Almonds, and a Tangy Vinaigrette dressing are all tossed together. 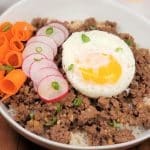 I recently came across an article in the LA Times with the recipe. 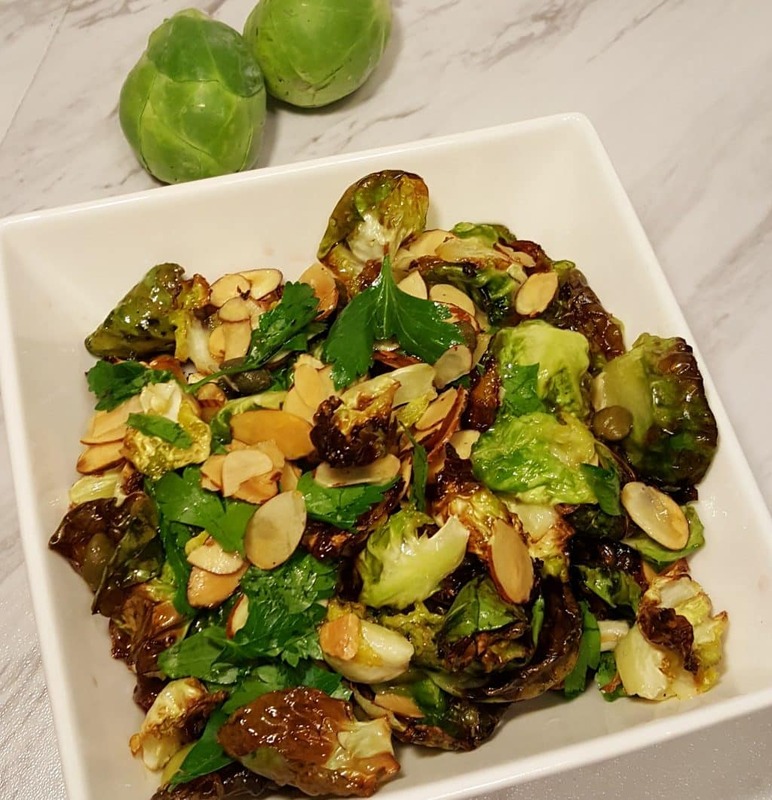 That inspired me to make this Air Fryer Cleo Hollywood Brussels Sprouts recipe and save on fat calories. I just found out that Ilene does not have an Air Fryer. Wonder if she will soon……. Why spend the extra money on Toasted Almond Slices, when you can toast Raw Almond Slices yourself in just a few minutes in your Air Fryer? Make sure to use a some type of Air Fryer Safe, Baking Pan in your Air Fryer, so that the Almonds don’t go flying all over the place. 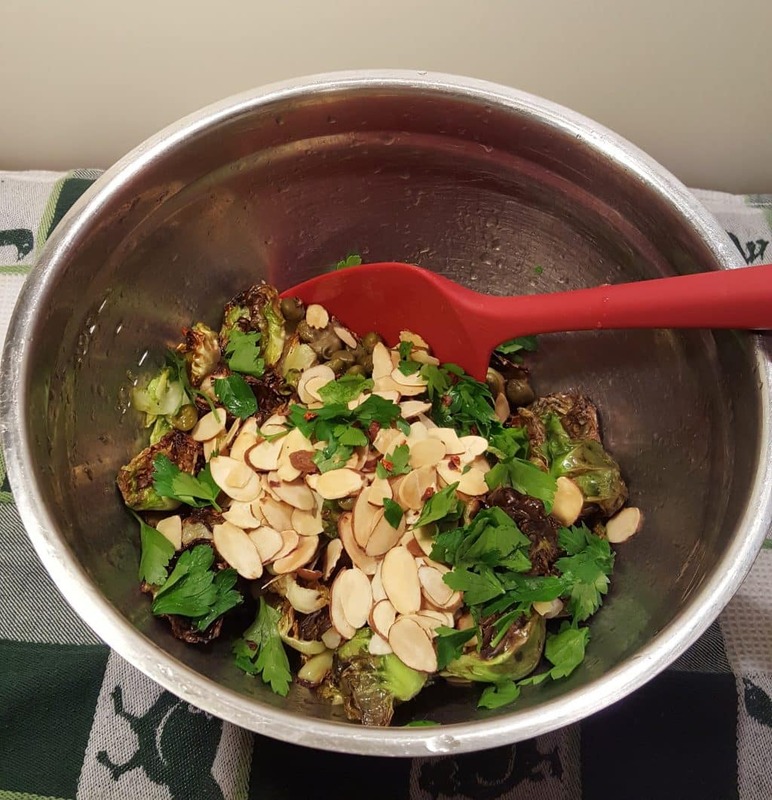 While the Almonds are toasting, start preparing the Brussels Sprouts. The hardest and longest part of this recipe, is coring the Brussels Sprouts. Make sure you use a good Paring/Tourne Knife and carefully removed the core. Give the Brussels Sprouts a little squeeze and the Leaves will then peel off easily, well, sort of easily. 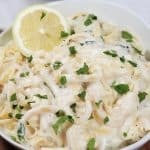 Another recipe for Brussels Sprouts you will enjoy is my Instant Pot Low Carb Brussels Sprouts Alfredo. Its creamy and delish. 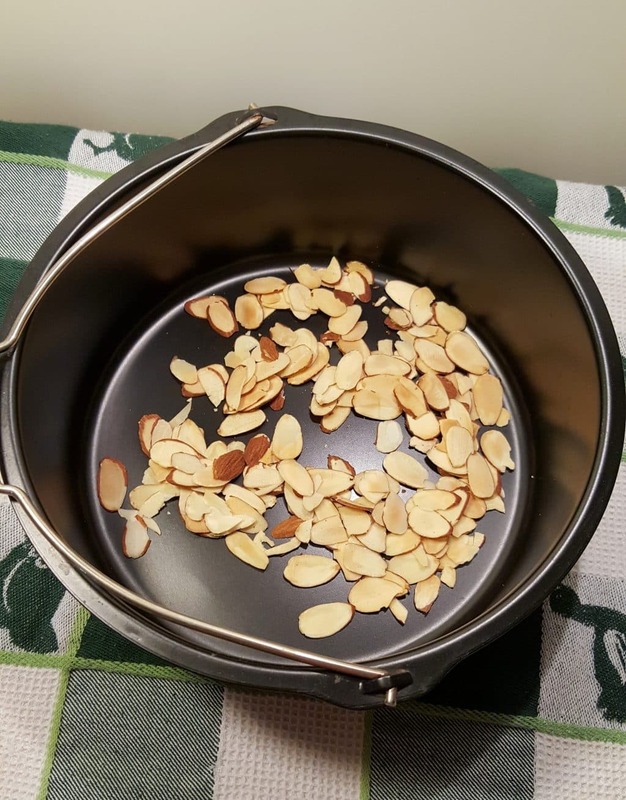 In only 4-5 minutes, you will have your own Toasted Sliced Almonds. Remove them from the Air Fryer and Set them aside. You’ll probably still be dealing with the Brussels Sprouts Leaves. 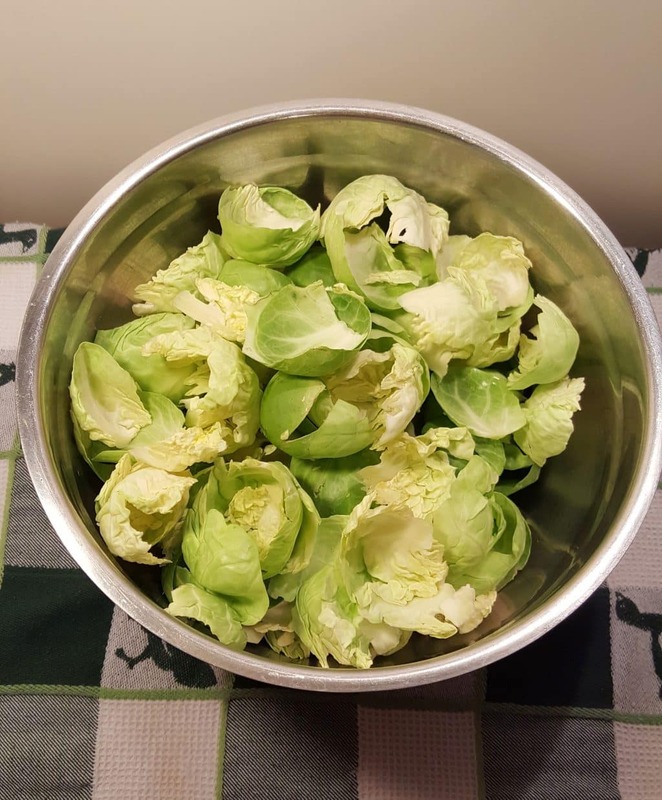 Remove all the Leaves of the Brussels Sprouts and place them in a Medium Mixing Bowl. 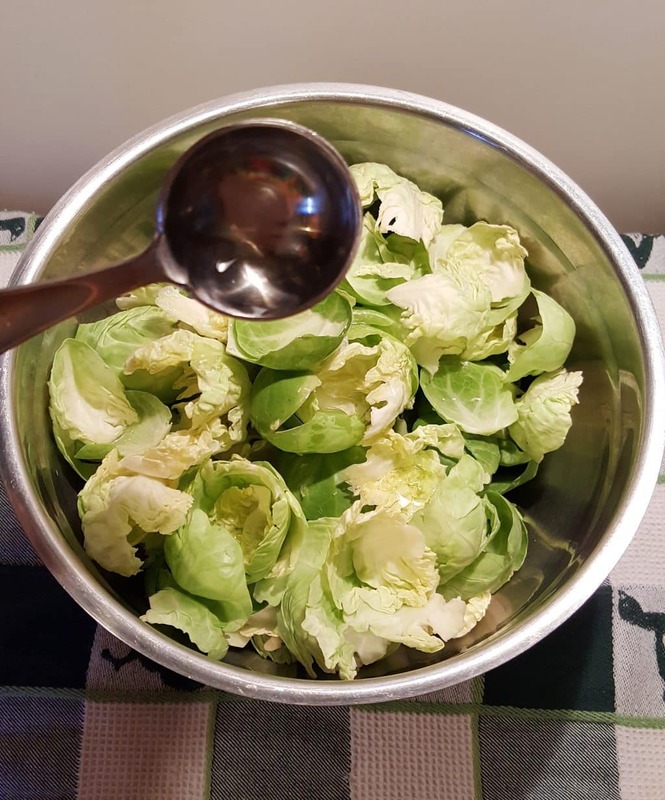 If you don’t yet have an Oil Mister, and I highly recommend getting one, as you will use much less Oil this way, add in a couple of teaspoons of Vegetable Oil and carefully coat all the Brussels Sprouts Leaves. I love my The Fine Life Oil Mister. It allows a long spray time and so far, knock on wood, does not clog. Just make sure you don’t fill the Mister up past the line indicated. If using an Oil Mister, spray the Leaves and gently mix them around as you go. 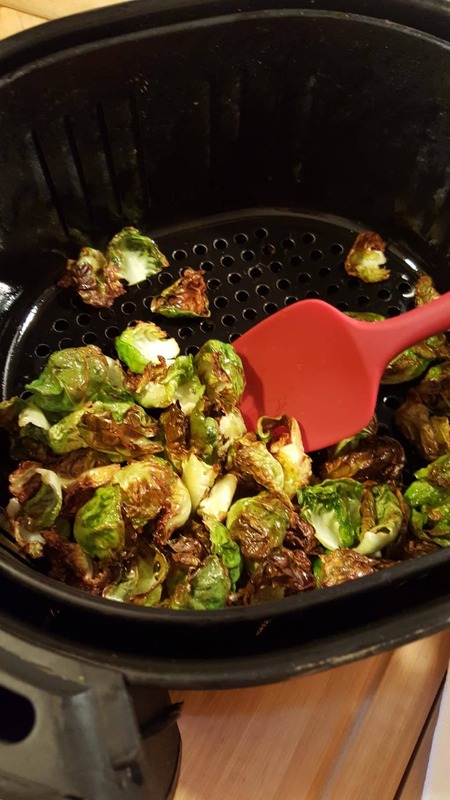 Place the Oiled Brussels Sprouts Leaves into the Air Fryer Basket. Make sure to shake often and separate the Leaves if necessary, so that they will cook evenly. Be careful not to let any burn. 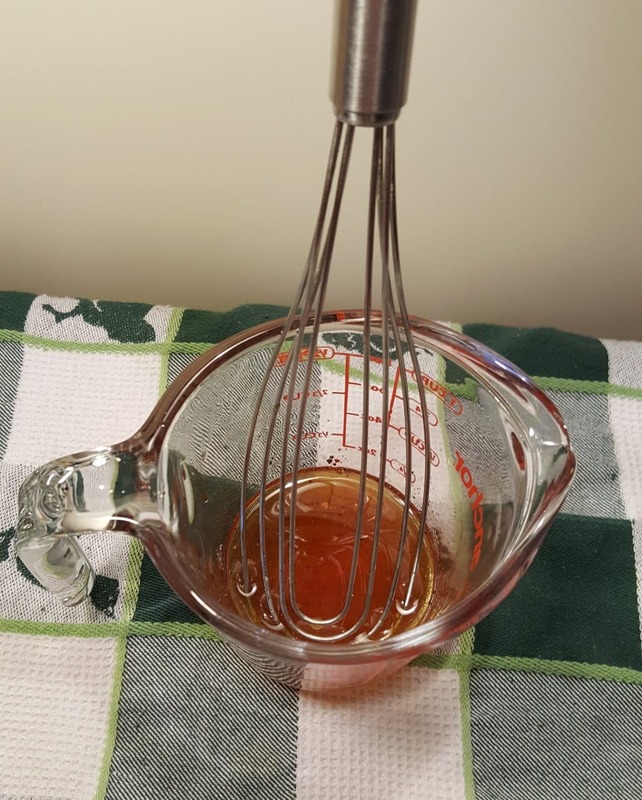 In a Measuring Cup or other vessel, Whisk up the Vinaigrette Dressing. 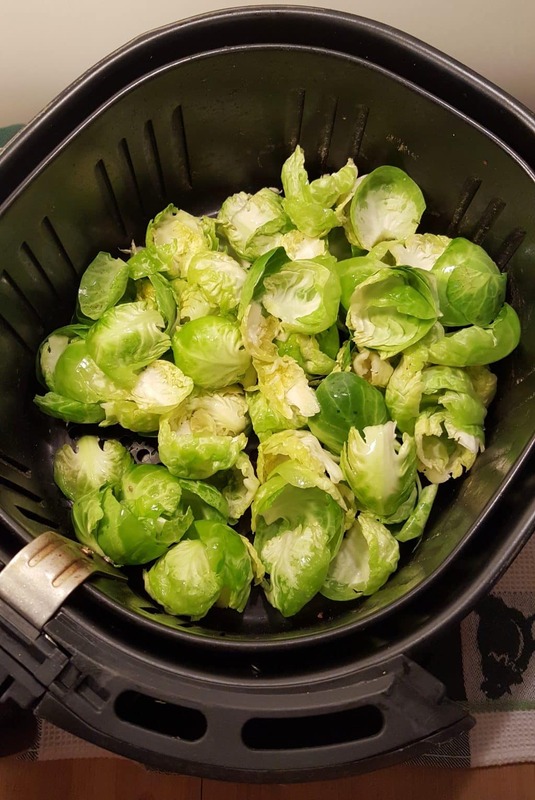 Add just a pinch of salt and pepper, as you can adjust the taste after you have poured the dressing on your Air Fryer Cleo Hollywood Brussels Sprouts. Very carefully, use a Spatula to scoop out the Brussels Sprouts. 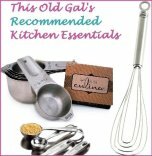 Many of you have asked me what Spatulas I like best. As you know, you get what you pay for and buying cheap stuff always turns out to be more expensive in the end. Therefore, I like to buy what I think is best and what will last and last. This is NOT a sponsored post, however, the di Oro Living Company was kind enough to send me a set of their Spatulas, as I love this brand. 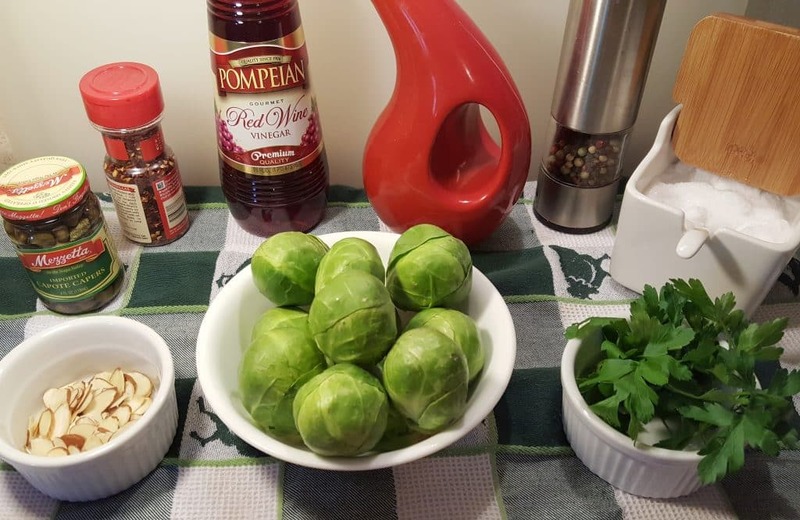 Place the Brussels Sprouts on a Paper Towel to remove any extra Oil. here shouldn’t be much, if you have used the Oil Mister. Into a Medium Mixing Bowl, add the Air Fried Leaves. Add in the drained Capers, Toasted Sliced Almonds, Parsley and the Chili Flakes, if using. Start with the smallest amount, as you can add, but not take away. Drizzle on the Vinaigrette Dressing and gently toss. I have to admit, these Air Fryer Cleo Hollywood Brussels Sprouts taste identical to the ones at the Cleo Hollywood restaurant. 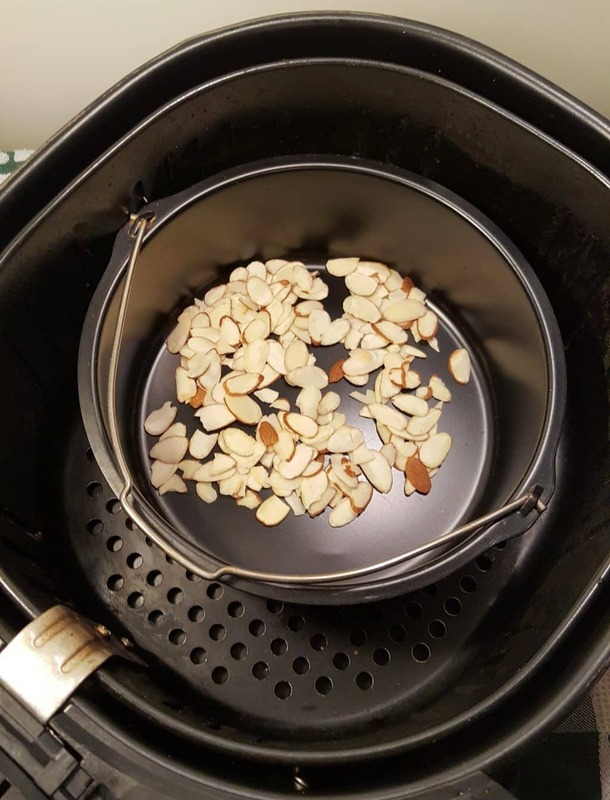 Place sliced almonds in pan and place in Air Fryer. Cook at 350 degrees for 4-5 minutes, shaking often. 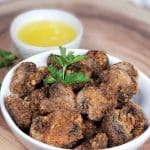 Remove from Air Fryer and set aside. Whisk together Dressing and set aside. 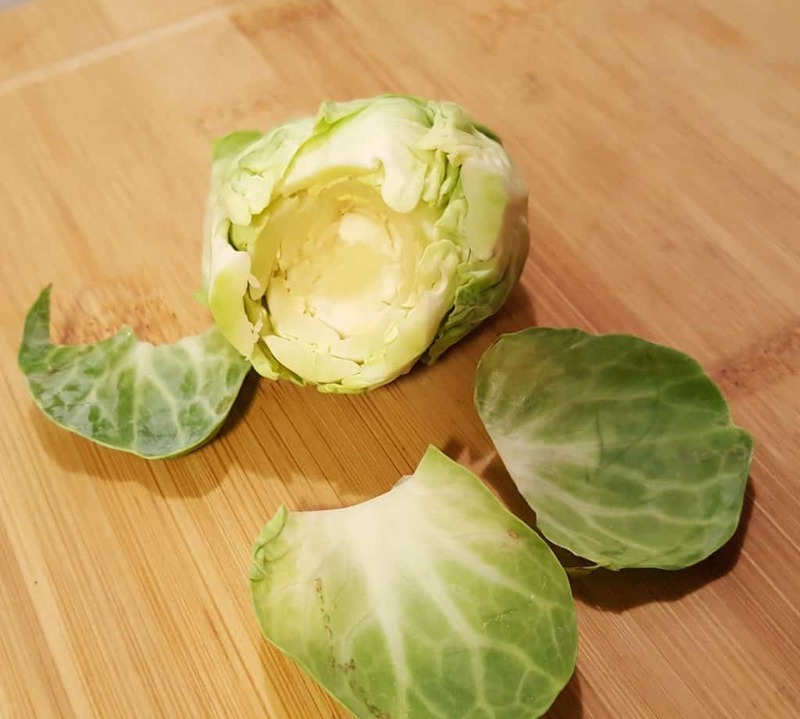 Use a Peeling/Tourne Knife to core Brussel Sprouts and then remove the leaves. Place in bowl and toss with oil. 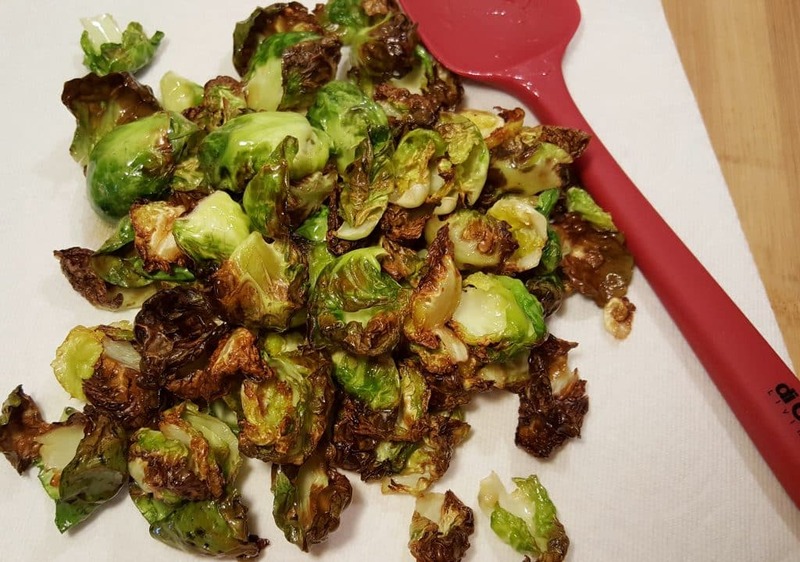 Place Brussel Sprouts in Air Fryer. 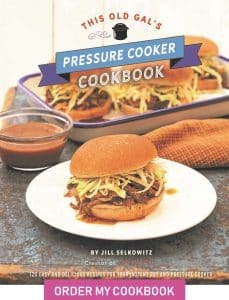 Cook at 400 degrees for 8-9 minutes, shaking often. Place Air Fried Sprouts on a paper towel and press lightly to remove excess oil. Place Hot Sprouts in a bowl. Add Dressing, Capers, Toasted Almonds, Chili Flakes and Parsley. Gently toss and serve. Add more Salt, Pepper, Chili Flakes, if desired. Chili Flakes are very hot, so start with the tiniest amount. 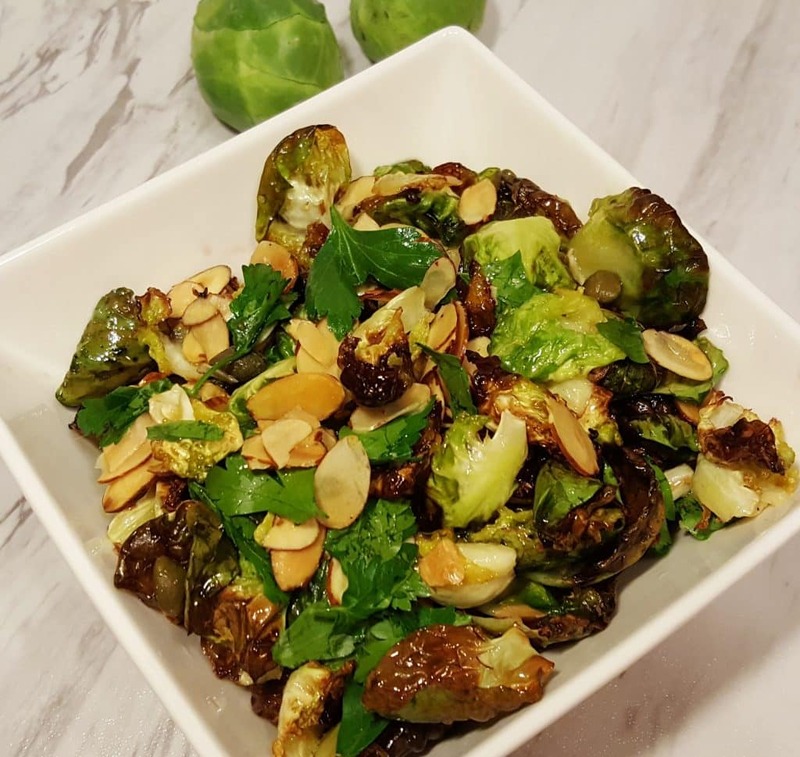 PIN this Air Fryer Cleo Hollywood Brussels Sprouts! I don’t like brussels sprouts either. I’m going to give this a try, just because I like to try new things. I’ll let you know. Made this recipe tonight, and they were the best Brussels sprouts I’ve ever had. Delicious! My goodness gracious these were amazing! I got an air fryer for my birthday over the weekend and this was the first thing I made.